Delaware County's Annual (and greatly anticipated!) 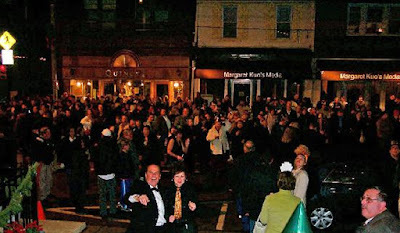 Ball Drop brings together residents and visitors alike, to enjoy fabulous food at restaurants along State Street before joining hundreds of others outside, under the stars to watch our own glittering Ball begin its descent, counting down the final minutes of 2018 until 2019 explodes in cheers, hugs, laughter and more than a few romantic kisses. Each year the crowd grows, everyone joining in the cheering, singing, hand-shaking and new-friend making as we say goodbye to one year, and welcome another. Go to VisitMediaPA.com and check out the restaurant scene and be sure to make reservation soon. 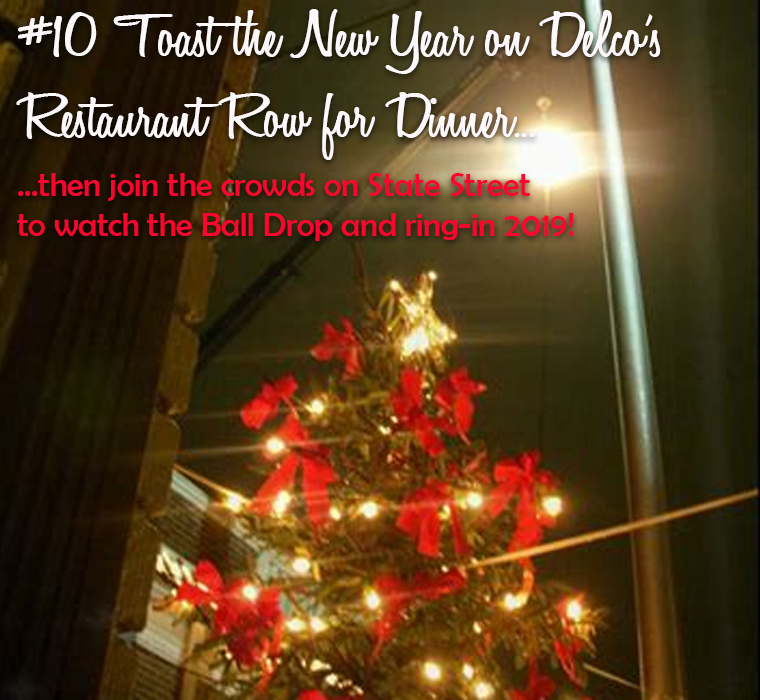 The music starts at 11pm, and the ball drops at Midnight. Loving Delco as we all do, here at the Tourism Bureau - we can honestly say there's no place we'd rather live, work or play. So come celebrate the arrival of 2019 with us!